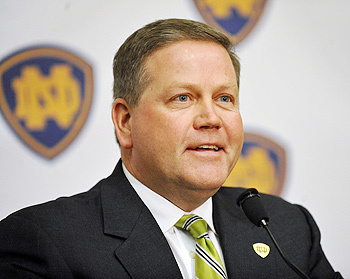 Although their servers are overloaded – the South Bend Tribune is reporting that Brian Kelly to Notre Dame is official. He was by far the most logical choice and I am really excited about the future!! Hopefully there will be an official press conference tomorrow. In what I see as the biggest sign that Brian Kelly and Notre Dame have come to an agreement, a Cincinnati TV station is now reporting that the media will not be allowed at the Bearcat Football Banquet tonight. This is what happened at Notre Dame last week after Weis was fired. I fully expect the reports to come out tonight that Kelly is the new Notre Dame coach and a formal announcement will be made tomorrow. We are now on Day 10 of the “Official” Notre Dame coaching search. 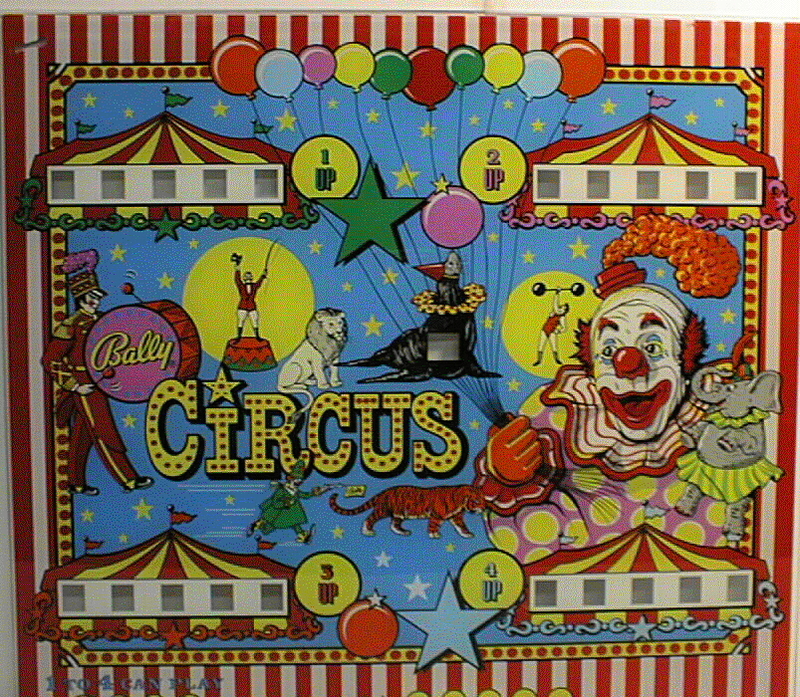 All signs are still pointing to Brian Kelly taking the job. There are rumors that Randy Edsall and Notre Dame are showing some mutual interest but I refuse to believe it. There were also rumors that Kelly was balking at Notre Dame’s student life rules and disciplinary protocols. I believe that this is all a big dance in the negotiating game and in the end, Kelly will go to Notre Dame. We may even start hearing about it as early as this evening with the Cincinnati Football Banquet beginning at 5 pm. I refuse to believe that Randy Edsall was ever a real candidate for the position. Notre Dame would have a PR fiasco on its hands if they fired Weis for a guy with a worse career record. I know I wrote last week that I was warming up to Edsall, but the logic of him taking the job just does not make sense. I can think of probably 10-12 coaches that ND would have a realistic shot of getting before I would get to Edsall. 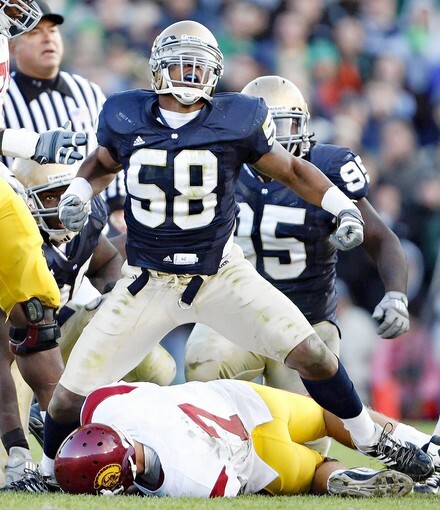 I will say this, if everything is silent tonight and through this weekend, Notre Dame could be in for a huge surprise. There is no reason that Brian Kelly to Notre Dame shouldn’t be wrapped up before Monday. If it doesn’t happen then, I don’t think Kelly will be coming and the search (and crazy rumors) will continue. When I texted Brian Kelly yesterday about his talks with Notre Dame, he made a point of saying in his response that he was still talking to UC as well. I believe that he is and that he’s serious about those negotiations, but from talking to people close to this situation, I still believe that Notre Dame is his first choice. I know for a fact that ND has always been the job he has had his eye on. Here’s what I believe is going on. Kelly won’t go to Notre Dame and risk being another in a recent string of coaches who can’t win there because of the restrictions those coaches face. He’s telling them what he needs to win a national championship, and if they can’t compromise on some of those issues he won’t take the job. Meanwhile, he’s in talks with UC to strengthen his position there. If the ND job doesn’t work out, he returns to UC in a much stronger position than he was before. We could know as soon as today if Kelly is going to ND. If it’s not today, we’ll almost surely know tomorrow night at the UC football banquet. I really believe that Kelly will tell his players first before any announcement is made because that’s the decent things to do. If he’s leaving, he will probably tell them before the banquet and be in South Bend on Friday for the press conference. If he’s not, he can make a big splash at the banquet by telling everyone he’s staying. I will say this: if the ND administration botches this because they will not do what it takes to put a winning product on the field, I am done. They can’t keep pretending to want to win if they will not provide the environment in which winning can be achieved. The arrogance that permeates from Notre Dame has always been something that bothered me as a fan. The “we are better than you because we win and our players go to class” crap drives me crazy. Hey ND officials, guess what? You haven’t won anything in 21 years. I am not saying that the school should drop all of its academic restrictions and let all of the thugs and hoodlums in – I’m saying offer a few exceptions and give them a chance to prove they can succeed at the school and on the field. I understand that ND has it’s values, and I think they are very respectable – especially when trying to compete with football factories like Texas, Ohio St, and Florida. I have a feeling this is going to get ugly…if this gets screwed up, the ND leaders better be prepared for the rioters with torches and pitchforks to be showing up in front of the golden dome. I hope this all gets ironed out, Kelly and ND compromise and there is an announcement on Friday. Although it seems like it is almost official, Brian Kelly becoming the new head coach at Notre Dame is not done yet. There are some reports saying that an official announcement may come as early as Friday. The Cincinnati Football Banquet is Thursday night so you would think that nothing would be announced until after that time so Kelly can tell his players in person. I certainly hope this gets done. Here is a great article about Brian Kelly and his recruiting in Ohio.